WOW!!! 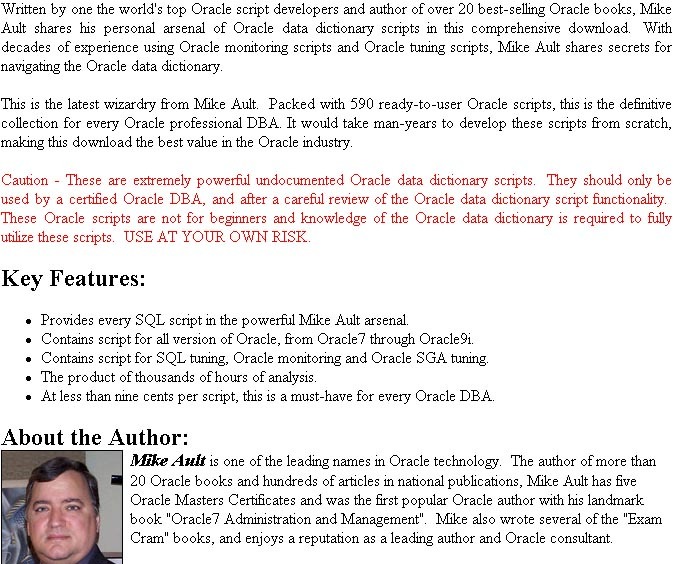 Oracle SQL scripts for less than 7 cents per script. Get your Oracle SQL scripts today!! Find the Oracle SQL scripts you have been looking for "all your life".